I don´t draw. Not really... And when I do, it´s just for fun or when I´m watching some interesting movie or series because I just have to do more than one thing in time. Therefore, I can´t draw. I made DA just to stay in touch with others and to see their drawing because even thought I can´t draw I appreciate when someone can. So here I am. And sometimes I will add something from my half broken pencils... But only sometimes. 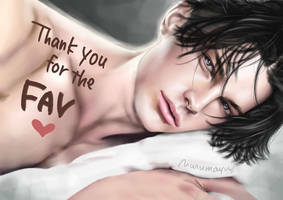 Thanks again for your favorite!